When what you're seeking is to solve your water transfer and removal needs with a quality pumping product that will work just as well in several years as it does on the first day, you've definitely arrived at the right place. 4 Pumps - the best and most trusted name in pumps - is the ultimate Australian online destination for an incredible range of electric power water and petrol and diesel powered pumps, products and accessories, including a quality line-up of water transfer pumps that will be perfect for a huge number of needs and applications. 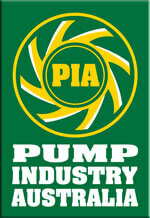 So with that, we say welcome to the 4 Pumps range of quality water transfer pumps and equipment! In just about no time at all, you'll be ready to select and click your way to the water transfer pump that is perfect for you. You'll be browsing our range full of only the best in the business, including top brands Onga, the APP series and plenty of other products that can be relied on and trusted just as much as the experience and expertise of the support team here at 4 Pumps. So do you feel ready to start picking the perfect water transfer pump from the 4 Pumps range? You should be! Because for exactly the right power water transfer pump to do the job you need doing in the domestic, commercial or industrial sectors, it is 4 Pumps' range of water transfer pumps that is always at the top of the wish list for those in the know. So what exactly is a water transfer utility pump, what range of water pumping and transferring jobs do they cover and how should you get started in picking the right one for the right application? We're glad you asked - because we want to make sure you get only the water pump you really need! One thing, however, is already certain: 4 Pumps is the place to be. Put very simply, a water transfer pump system is used in nothing short of a huge and diverse range of applications to get water from one place and put it in another! It's really that simple: as the name implies, what you're wanting to do is use a pump to transfer water. A good water transfer pump will do the job efficiently, quickly and reliably, which is why so much attention is put in by our skilled and experienced team in making sure the 4 Pumps range boasts all of the latest, state of the art technology, top brands like Onga and Davey who deploy great R&D and top design and manufacture standards, and products that will stand the test of time even when used day in and day out in the harshest of operating conditions in Australia. What might you be using that water transfer pump for? Another great question. What you might want to be doing is getting water out of a dam, creek or pool into tanks, out of an area under your control subject to flooding or excessive rain, or from one area of your commercial space to another - or a myriad of different applications in a myriad of different ways for different reasons. But rest assured, the 4 Pumps range of water transfer pumps is put together so that whatever you're seeking a water transfer utility pump to do, you can rest assured you will find what you need in a product that comes with a superb reputation for quality and longevity backed by fantastic service. The concept of water transfer pump systems may be simple enough, but that doesn't mean the task you're asking them to do is equally simple - but here at 4 Pumps we understand that better than anyone else in the industry. So it's just a matter of making sure you know the details of your particular application, and then letting the helpful experts at 4 Pumps assist in helping you make the perfect choice from our water transfer pumps range. Buying a water transfer pump should be considered a one-off investment, so do it right just once and never regret skipping 4 Pumps' great products and advice. Why do you need to get that pump selection right? Because water transfer pumps come in a significant range of different types and sizes, and getting the right one will ensure your job is done well, efficiently, safely and cost-effectively. In short, the range of water transfer pumps is pretty much as vast as the many, many uses, jobs and applications they do day in and day out. For a simple, domestic water transfer job, you will get away with a lightweight pump that will be perfect for those jobs around the home and garden and perhaps for your recreational farm or your boating hobby, plugging straight into the mains. But if you need to transfer a larger quantity of water over longer distances more than just a few metres, for example for complex irrigation tasks, you will need to go deeper into the 4 Pumps range to get what you need. But basically, water transfer pumps effectively all work the same way, using simple to understand parts including the pump hose and sump. Water goes in through suction into the inlet, and comes out at the desired flow rate via the discharge valve. The most significant difference between the smaller, more basic and portable water transfer pumps and their big brothers that are engine driven and high pressure - with more hp and power and an extra volt or two - is the volume of the water, the distance to be transferred and how quickly that transferring takes place. But of course, you might also need something a bit more complicated, like a fully-submersible, multistage submersible pump - like some incredibly efficient pumps in the 4 Pumps range. We've put a lot of attention into making sure that no matter the job you need doing and the way you need to move water efficiently, you'll find a water transfer pump in the 4 Pumps range quickly and get it up and running before you know it - with a price you won't find anywhere else online. That's the mission here at 4 Pumps. So what makes a water transfer pump a water transfer pump and not just an air pump? Typically, the way it delivers from other kinds of higher water pressure pumps like fire fighting pumps is that while the pressure may be lower, the flow rate is impressive and large volumes of water can be moved. Again, this is where the power, capacity and size of the water transfer pumps really matters, because the kind of pump you might use at home can differ in the required flow rate from a commercial or industrial transfer pump requirement by hundreds of litres in terms of the flow rate. Of course, the helpful and experienced team at 4 Pumps can guide you through the entire process of understanding the details of your application, navigating the impressive range of quality products, and making sure you can get up and running quickly. Supportive experts who are willing to listen and help can be crucial, because there may be concepts and terminology you are unfamiliar with - like duty ls, nominal duty or the pump's required 'maximum head' ability, which measures the distance and height limits of the water being transferred. How to choose the right water transfer pumps? Let 4 Pumps guide you from 'go' to 'woah'! You'll then need to know a few details about the job you need doing - like how far you want to draw up the water from the source to the pump, whether the movement will involve a gradient, and the distance the water will be travelling. This may affect the basic pump type that will be required - like electric power or petrol, for example. Electric water transfer pumps, for instance, are typical for indoor requirements, and ideal for the DIY solution for a common household task. The great news is that these sorts of pumps are easy to install, run and maintain, but so too are many of the more powerful outdoor pumps, even those with the ability to pump dirty water. But all types of water transfer pumps are very efficient and safe - especially the extremely reliable, brilliantly designed and constructed and reputable brands you'll find in the 4 Pumps range, like Onga and Davey and others. There is an impressive range of models, features, capabilities and options to choose from, including ones that will be superbly reliable even in the harshest operating conditions and worked hard around the clock. But there are plenty of other reasons to not cut corners when picking a supplier of only the best and highest quality water transfer pumps on the market - and brilliant service is definitely high on the list. The team will not only help you pick the right pump for what it will be used for, but ensure that an awesome product with the right warranty and manufacturer support too. To put it simply, 4 Pumps is the place you need to be when you need water moved around your place, property or business. It could be for a vast number of reasons - from the simple domestic tasks, to watering stock or filling a tank from a dam. What you'll find in the 4 Pumps range is an impressive selection of only the best and most trusted water transfer pumps that do that moving of water quickly, superbly reliably and with the exact pressure and flow you need or desire. It just depends on knowing your needs, getting the 4 Pumps team to help you perfect your selection, and you're well on your way! The water transfer pumps in the 4 Pumps range are rugged, they pack all the latest and greatest technology, they're made of amazing materials including cast iron, stainless steel and all the best modern design principles, and most models are incredibly versatile and able to complete a range of projects. They're built for reliability, a long and hard life with frequent starts and an impressive service life, and no matter what you're looking for, you're sure to find it in the 4 Pumps range. Whether you need a simple, portable electric low flow pump system or the heaviest of heavy-duty water pump for a fast and efficient high flow of water transfer, you're now just a few clicks away from completing your project today. Our water transfer pumps will help with your storm water dewatering, managing septic tank effluent, pumping dirty water from dams or rivers, deep boresand much more, with a range spanning the very best on the electric and petrol fire pump market. Here at 4 Pumps, we take care to ensure that the water transfer pumps we stock are corrosion resistant thanks to rugged traditional and modern materials, and backed up by our years and years of industry experience and know-how. Our simpler products will easily and affordably do those water transfer jobs around your home, but we also have everything in stock for bigger, more complex jobs, when transferring those vast quantities of water needs to be done quickly and reliably. There are water transfer pump models with an impressive range of potential applications and features, produced by world-leading brands like Onga whose motors and parts are designed and manufactured for maximum efficiency, reliability and life. Know your desired pressure, maximum head, flow rate and inlet-outlet capacity and you're more than ready to view and start selecting from the 4 Pumps range on our site - if not, drop the always-smiling team at 4 Pumps a line and they'll get you on the fast track to the pump you need in a flash!